Getting married is such an exciting time. Planning a wedding can be fun, exciting, emotional, and overwhelming simply because there are so many different details and things to consider. 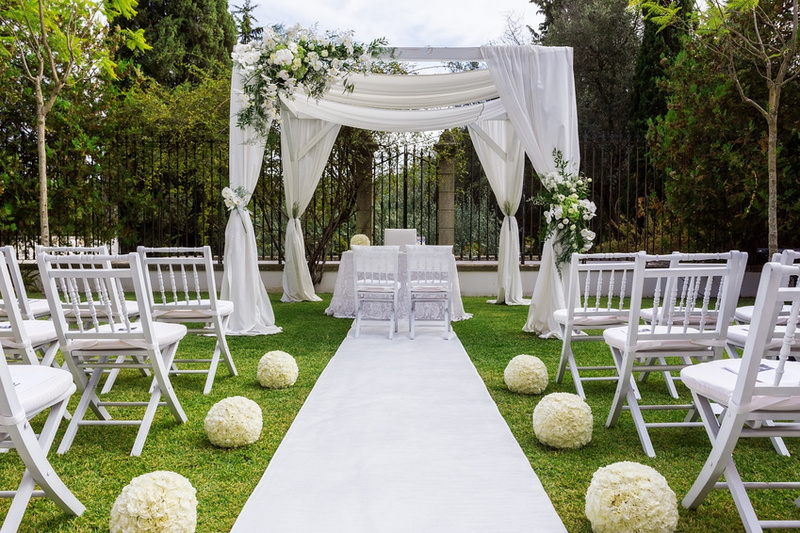 However, it’s safe to say that once you pick your wedding reception venue, the biggest detail is already accounted for and your wedding preparations will be smooth sailing from there on out. But, that’s not to say that picking the perfect wedding venue for your big day is an easy task! So, in hopes of making your decision a little easier, we have put together some wedding planner-approved secrets to keep in mind. Venues book up quite early on, and if you are dead set on a specific day, you may not be able to get the venue of your dreams. So stay flexible when you go and visit them, and bring along a couple dates that you have in mind. As a rule of thumb, you should pick out the place for your wedding reception at least a year or nine months ahead of time. This is for the same reasons we listed above. Once you have your venue, you will have your date and you’ll be able to start planning properly. After this, you can get your officiant, schedule your photographer, pick out the wedding decor, and start sending out save the dates. While it is always a great idea to bring different pictures along with you, your specific venue may have limitations on what they can do. Pictures are great to give your venue coordinator an idea of what you have in mind and they will work with you to get something similar, but not exact. So just have realistic expectations when you go in for a consultation. Wedding venues are professionals in the wedding business; they do weddings and parties every weekend, after all! So they really know what they are doing and most likely have people they can recommend if you need help choosing something. For example, they can probably give you names of photographers, bakeries, catering services, and even transportation ideas! So don’t be afraid to ask! With these secrets in mind, you’ll be on your way to picking the right wedding reception venue for your big day.